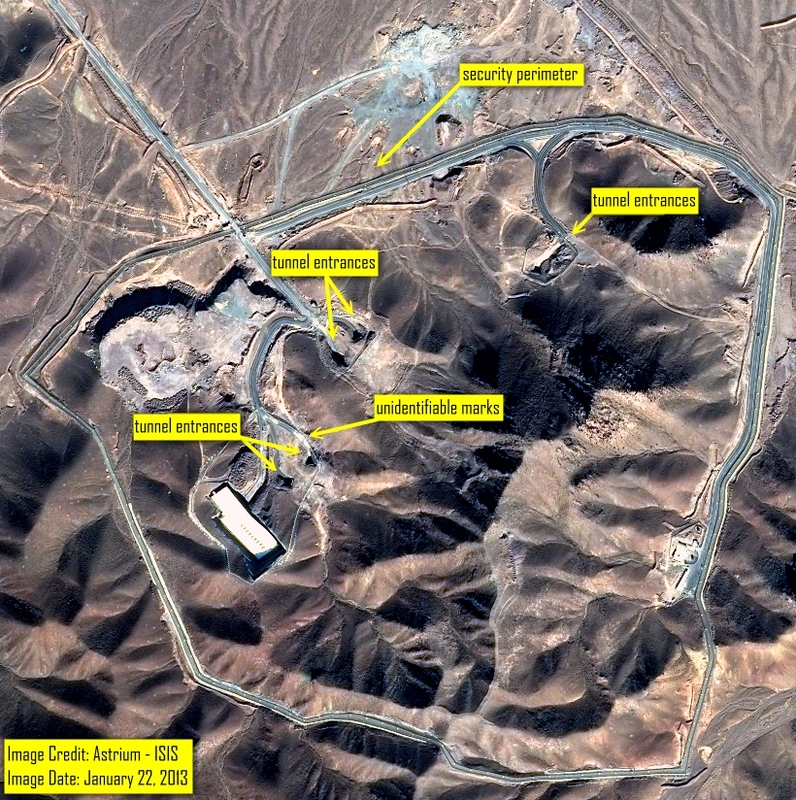 On January 25, 2013, news website WND published a report claiming that on January 21, the Fordow Fuel Enrichment Plant near the Iranian city of Qom was the target of a major explosion, thought to be an act of sabotage. The website claimed the explosion partially destroyed the site and trapped 240 people underground. ISIS obtained from Astrium commercial satellite imagery of the site taken the day after the explosion (figure 1). The imagery shows no exterior signs of an explosion or major damage. Although an underground explosion may not leave visible exterior signs of damage, ISIS observed no intensified activity in the form of emergency or cleanup vehicles that one would expect to see around the site in the wake of an incident of this magnitude (figure 1). The lack of clarity at very high magnification does leave some doubt about whether a set of three white marks near one of the entrances of the southernmost tunnel could indeed be three vehicles. However, an emergency response would be expected to have been prompt and to have involved many more vehicles, particularly given the national importance of the gas centrifuge site and especially of the personnel working underground. During the last few days, Iranian, Israeli, and U.S. officials denied that sabotage or a major incident occurred and the International Atomic Energy Agency (IAEA) concurred. Figure 1. Satellite imagery of the Fordow fuel enrichment site from January 22nd, one day after the reported explosion that caused major damage to the site. The imagery shows no damage to the outside and no discernible signs of emergency vehicles or activity at the tunnel entrances. Figure 2. 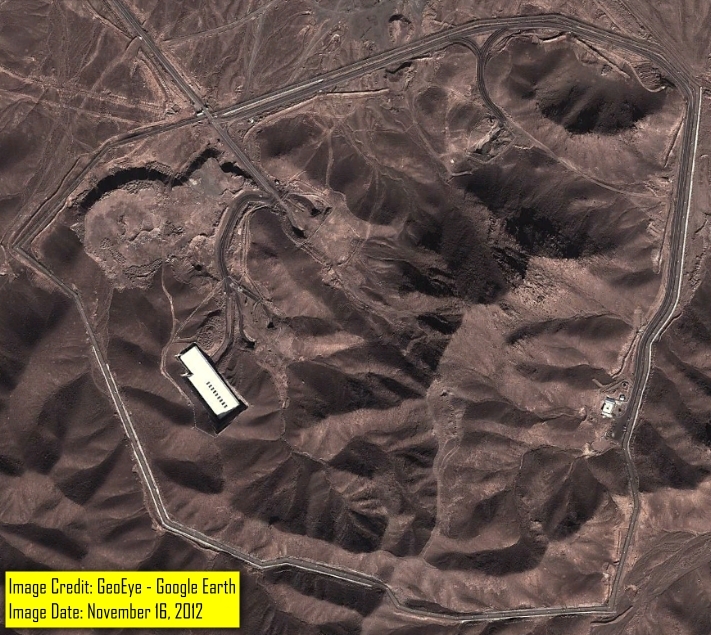 GeoEye imagery from Google Earth of the Fordow site two months before the alleged underground explosion at the site.